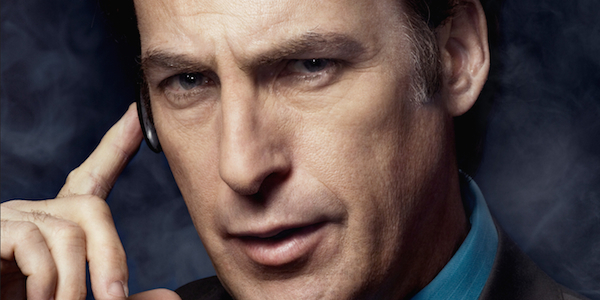 One thing is for certain: we're all very, very excited for AMC’s upcoming new series, Better Call Saul. Since the day the spin-off was announced, fans of Breaking Bad have positively lost their minds as they make their way through every interview, off-handed comment, and tweet, hoping to find answers to questions that drive TV fans crazy. 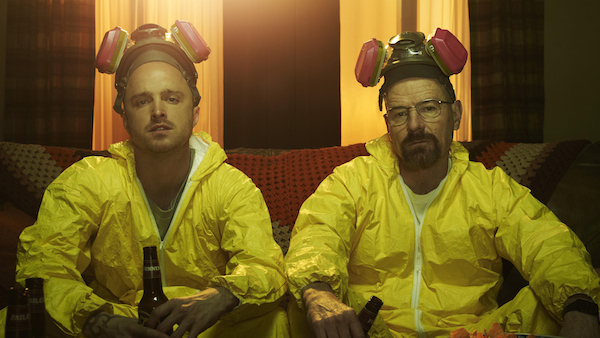 SPOILER ALERT: If you're not caught up with Breaking Bad, read on with caution! Some character and plot specifics are mentioned in the guide. We know that can take an awfully long time to do! (Plus, most of you have jobs and lives, right?) So we’ve decided to compile everything we know about Better Call Saul, what speculative theories are out there, and what they’ve yet to decide as your new favorite TV series makes its long and winding way from concept to premiere date. Don't say we never did anything nice for ya! Better Call Saul is a mostly dramedy spinoff of AMC’s insanely popular drama, Breaking Bad, starring ne’er-do-well but whip-smart lawyer to the worst of Albuquerque, Saul Goodman (a.k.a. Bob Odenkirk). 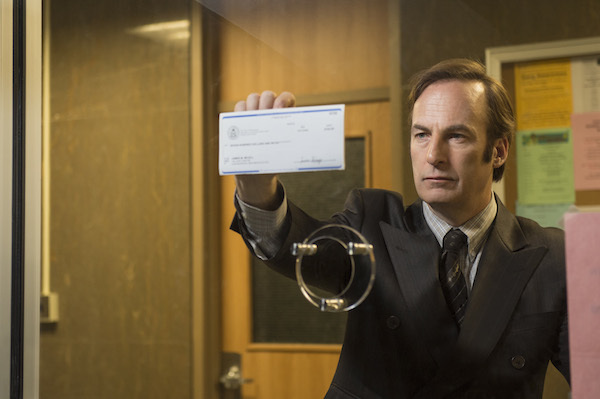 It will center around Saul and feature the dark comedy he brought to the series. Being that Odenkirk is a comedian first, the show will likely marry both of his worlds. Here's AMC's first look at the familiar face with the very different moniker. That's definitely a pocket square, and I think he might even be rocking a hairpiece. What do you think? 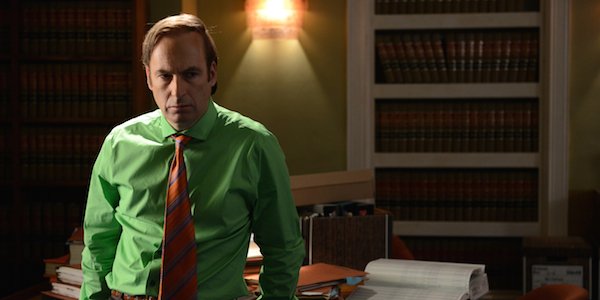 Are you a fan of the Jimmy McGill persona, or do you miss Saul being Saul? When Can I Watch And Where Will It Air? Though an exact premiere date for Better Call Saul hasn't been set, AMC originally confirmed that the series would premiere in November 2014, however that situation has changed. In addition to announcing that Season 2 was a go, AMC also announced the Better Call Saul's first season will air in 2015, with AMC recently announcing the show will definitely hit the airwaves in February of that year. The 13-episode Season 2 is expected to air in 2016. 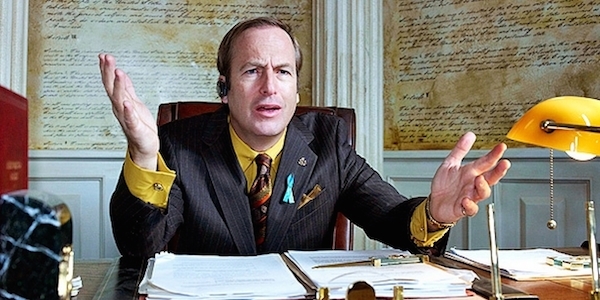 Better Call Saul will air on AMC, duh. But there’s a caveat in that it will also appear on Netflix! Netflix and Breaking Bad producer Sony Pictures Television have “closed a deal for the spinoff series to be released through all of the streaming service’s territories.” But it won’t be simultaneous everywhere: in the U.S. and Canada, the complete first season of Better Call Saul won’t be available to Netflix members after its season finale on AMC. While Breaking Bad creator Vince Gilligan will be involved, he will not be at the reigns this time. That’s a job for the creator of the Saul Goodman creator himself, writer/producer Peter Gould. Additionally, Emmy-nominated “Say My Name” writer, Tom Schnauz has also been confirmed to join the Better Call Saul team. As it stands, there are two actors confirmed for Better Call Saul — Bob Odenkirk (natch), and Jonathan Banks, better known as his character, Mike Ehrmantraut. A very exciting prospect indeed, considering the prickly Ehrmantraut was basically the Olivia Pope of nefarious New Mexican deeds. Hopefully the series will also give us some more insight into who Mike was pre-Walter White. Newcomers to the story include characters played by Patrick Fabian as Hamlin, Rhea Seehorn as Kim, Michael Mando as Nacho and Michael McKean as Chuck. Other Breaking Bad actors seem to be chomping at the bit to return, including Krysten Ritter (as Jane, Jesse's girlfriend in Season 2). We asked Ritter if she'd be up for appearing in Better Call Saul when we spoke with her during the Veronica Mars junket and she told us,. "I would do it in a second. I love all of those people. I would do anything with any of them." But it doesn't sound like anyone's asked yet. And as Ritter herself pointed out, there might be an issue with Jane's path crossing with Saul's, since he was kind of involved in taking care of the situation when -- to put it vaguely for those who still aren't caught up on Breaking Bad -- Jane exited the series. But who's to say Saul would've remembered her if he did meet her in his past? Or if he did, that he would have pointed it out to anyone during Breaking Bad? Maybe there's a way to bring Jane into the story without drastically affecting her character's story (or Saul's awareness of her) in Breaking Bad. Just a bit of speculation, but for now, it doesn't sound like Ritter's been approached about being on the show. What About Characters Like Hank? One thing is for certain: Dean Norris (Hank) is out. Since joining the cast of CBS' Under the Dome, Norris has been quoted multiple times that he doesn't believe they'd let him do "a little cable show." So, there's that. He also said he's not a fan of "revisiting something that has already been done," but he's excited to see the show. 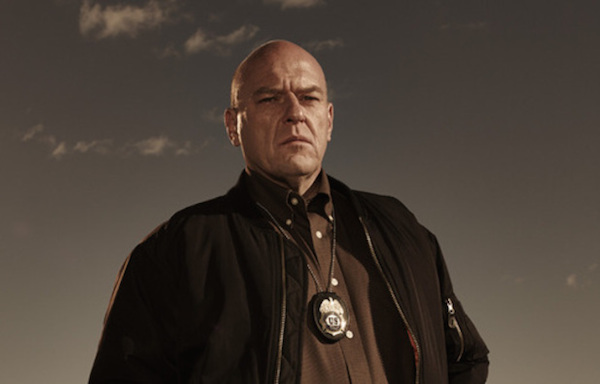 We can probably rule out any appearances by Hank Schrader in Better Call Saul, at least in the near future. And Aaron Paul? Bryan Cranston? And let’s be real: boy oh boy would we love to see some more young Jesse Pinkman action. (As would Aaron Paul, it seems!) 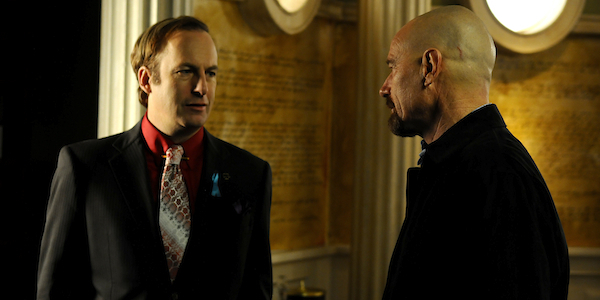 Last we heard, Paul had "serious talks" with Vince Gilligan about reprising his role in Better Call Saul. We think, by and large, this show will be a prequel, but the wonderful thing about the fractured chronology we employed on Breaking Bad for many years is the audience will not be thrown by us jumping around in time. So it’s possible that we may indeed do that, and we’ll see the past and perhaps the future. Nothing is written in stone yet, we’re still figuring it out, but the thing we realize is tricky with the character is that Saul Goodman is very comfortable in his own skin. He seems to be a character who is pretty happy with himself, especially when we first meet him. He seems to be a pretty happy-go-lucky guy, and that makes him everything that Walter White is not. And that also makes for tricky drama. When I say drama, even in a comedy, you want drama, you want tension and conflict, and a character that at heart seems at peace with himself is intrinsically undramatic. [Laughs] So we’ve been thinking about how to address that issue. The fractured timeline will give the writers "a much bigger canvas to play with," especially since the drama has already been picked up for a second season. 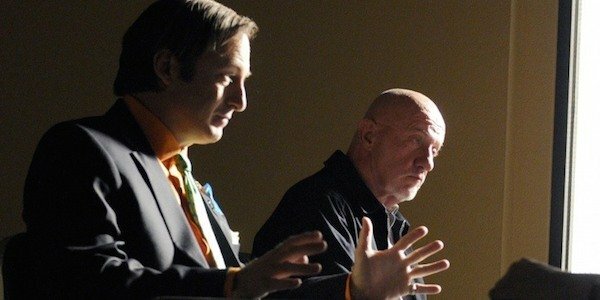 However, we do know now that Better Call Saul will have a clear starting point, picking up six years before Saul met Walter White in Breaking Bad. 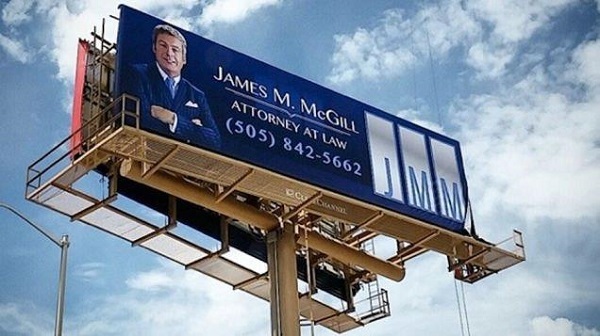 At the time, he will be a small town lawyer rolling with the name Jimmy McGill. Here's an early still of the series, released in June. Despite Saul playing an earlier version of himself, he looks about as harried as he has in past episodes of Breaking Bad. I wonder if he will also have as much smarmy charm? Will It Be Funny? A Drama? Well, yes and yes. Technically speaking. 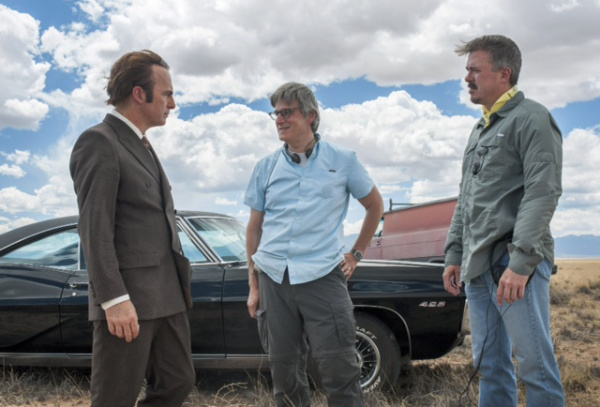 According to creator Vince Gilligan, the biggest challenge for bringing Better Call Saul to life has been “to find the ongoing itch that Saul needs to scratch, so to speak, or else we wouldn’t have much of a show.” Which is why, it seems, the series has decided on a 75 percent comedy/25 percent drama ratio. The episodes will follow an hour-long format. We haven't seen much footage from the drama, but the few short snippets AMC has released have highlighted the comedy to drama ratio pretty well. In the first big sneak peek released by the cable network, Gilligan and Gould talk about how the show will follow the advent of Saul Goodman, looking into what makes a man like Saul tick. While that could be more serious, we also get snippets of McGill/Goodman sweet talking potential clients with his usual humor. Check it out, below. Where Will It Be Set? Better Call Saul Albuquerque, New Mexico, of course! At the offices of Jimmy McGill. There’s been talk that we may also see a bit of courtroom drama, but nothing’s been confirmed yet, so best not to speculate on subject matter until we're closer to the whole thing coming together, don't you think?